Today, I am lucky enough to be part of an amazing, hilarious, raunchy, outrageous group of women who get together and craft every Wednesday night. The Oak Street Hookers take turns bringing a treat, some of us bring a drink (or two), and we teach each other everything we know. It’s the highlight of my week, and keeps me sane! But for the ten years before that, I did all my crocheting and knitting alone – barring the five minute crash course that started it all. I am self taught, and I struggled through books and “how to knit for kids” videos from the library for years. The first thing I ever knit! Then youtube and Ravelry came along and taught me a few more tricks.So to add to the wealth of knowledge out there, one of my fellow hookers and I made a video and uploaded it to youtube. It was very spur of the moment, and completely unrehearsed, but I think it makes it pretty clear. Feel free to make fun of my Midwestern accent (I clearly learned to say “yarn” while living near Chicago! ), and tell me what other videos you’d like to see! 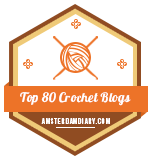 What do you want to learn about crochet? What do you do for the next round? 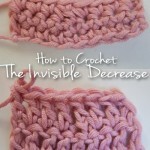 Do you crochet into the “stitch” created by making it seamless? 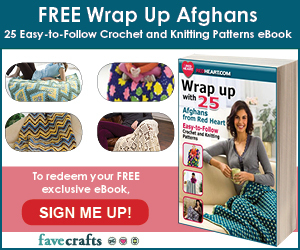 Or is it skipped like a slip stitch would be? This seamless technique would normally only be used on the very last round of a pattern. 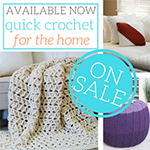 However, if you wanted to use this mid-pattern, say before a color change, you would crochet into it, as it takes the place of top of the last stitch in the round. Written directions would be awesome!!! It was my very first video tutorial ever! I need to refilm and rewrite the whole thing I think lol. Thank you that was very clear, and helpful. I do this technique and actually following the photos is more helpful than written directions. I loved it too, so I watched it several times and took notes – it looks awsome, and so simple. I do not understand your response “the seamless technique is only used on the last row of a pattern”. So the rest of the pattern has random seaming??? You lost me there girl. Otherwise I’m learning quite a bit from your video tutorials. 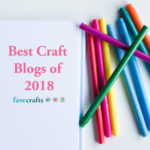 Thank goodness for the internet and crafters like you who care to share with crafters like me!! 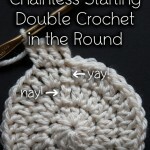 I read on another tutorial that if you are doing more rounds, not to start it in the “fake” stitch, especially if you’re increasing, as you probably would be in the round. It said to start a few siches over from the newly created stitch. Before I listen…I just want you to know I want to hear this “Midwestern” accent that I get accused of all the time…we don’t have an accent!! LOL!!! LOL!! Told ya…you don’t have an accent!! I love the way you sound! Thanks for the video. 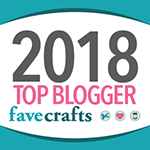 I have a Resource/Technique page on Ravelry…I will be adding your video!! “Midwestern accent & blame it on Chicago”. I had a chuckle too since I’m from the area…what could be the accent? You do not have an accent. You sound great. Great video too! Thanks for saying so, Liz! I knit and crochet for charity. Would it work from round to round ? It seems that yarn will have to be cut and joined on every round. Not very practical. I am disappointed when I finish a hat and the join on every creates a virtual seam. Yes it does work in rounds, but you have to remember that it’s creating an extra stitch visually do you’ll need to skip it on the next round. It does look good though! My website is something new so enter at your own ? On the cowl you said to ea stitch around and I am not sure what you mean there. Beautiful red diamond cowl. Hello Jan. and thank you! 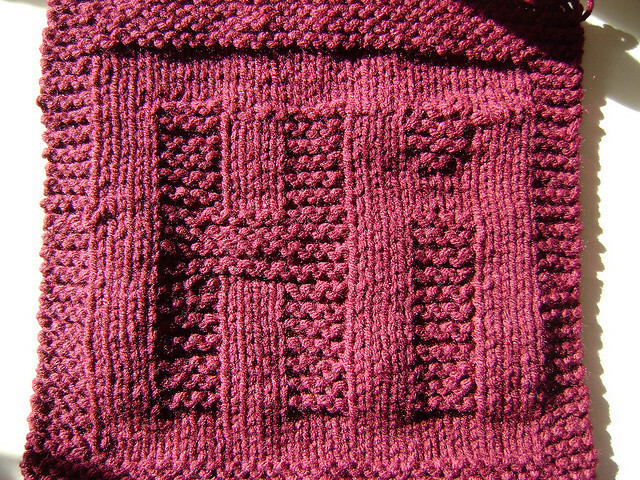 ea st = each stitch, meaning to work the stitch in each st of the round. I hope that clears it up! Thanks for much for this great tip! Here’s my dumb question – after I finish the stitching on your video, then what? Do I cut the yarn or knot it or what for maximum security. Thanks! Linda, knots always seem to work their way out – I recommend weaving in several inches of yarn before you cut off the last bit. Here’s a video on weaving in ends: https://www.mooglyblog.com/weaving-in-ends-crochet-video-tutorial/ Hope that helps! Ack, my link got broken! Thanks for the heads up Joan! It should be all fixed, embedded in the post now. Just found this.. another thing I will be adding to my next project to make it neater. I’ve self taught myself as well, thanks to awesome vids like this one! THANK YOU!!! THANK YOU!!! THANK YOU!!! It is rare for me to find directions that are clear and work well for a lefty without having to make adjustments. Super Easy! Mind. Blown. How have I never seen this before?! 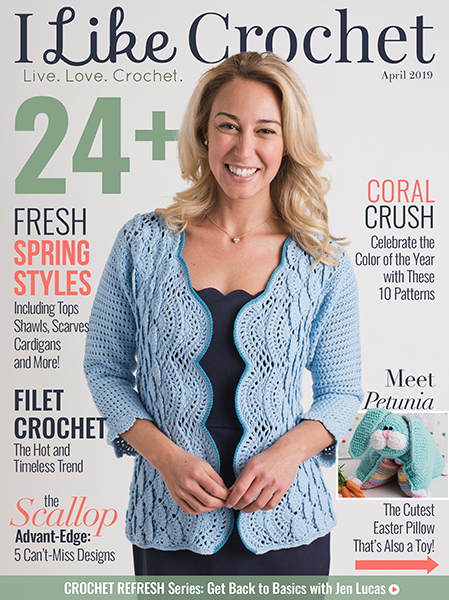 Crocheting 24 years. Knitting about 16. <3 Thank you so much Joan! This technique is great. It will encourage me to finish off each round as I go rather than leaving all to the end. Your site content is just wonderful. Thank you. thanks so much! This will really help!!!! I found your background story very familiar to my own as my grandmother gave me a 15 minute lesson on how to crochet when I was 19. A year later I had taught myself to read basic patterns and have continued to enjoy the craft of crochet. 34 years later I find myself still constantly learning and trying new things especially since I have 6 grandsons to create for. A year ago a close friend of mine gifted me with a beautiful store bought cowl with all the earth tone colors that I dearly love. In surfing the net I came across your free pattern for the diamond crochet cowl and fell in love with it. I have now worked up 4 of them as gifts and the requests keep coming. *hoping one day to actually build one for myself b4 the cold weather arrives lol* Thank you so much for sharing your patterns and keep up the amazing designs as I now have you listed in my fav list!! This has been really helpful. I found nothing wrong with the way you said yarn, but then I also have lived in Wisconsin for my entire life. Just watched your seamless join video…. Just to see how you say “yarn”. Lol! I’m living in WI, originally from MI, so I would say you don’t have an accent at all! LOL! 😀 I think we likely have the same one! I am confused about the edging. Does one side have3 sc in esch stitch and only 1 in each stitch srounf the other 3 sides. Hi Louise! I’m not sure which pattern you’re referring to? Love how this looks. Really a nice way to finish a project. However, I hate trying to thread a yarn needle, or find a yarn needle when I need one. So I just use my hook to pull thru, then weave in to end. Works great! Thanks for sharing this. 🙂 Thank you Lisa, and you’re welcome! I switched to the Susan Bates finishing needles recently – they are SO much easier to thread! any ideas on how to turn this into a headband? I would love to make a matching set. Hi Dana! I’m not sure which pattern you’re referring to? Because this creates a visual extra stitch, is it possible to use it when making, for example, an African flower pattern in the round, if you join in the 2nd stitch instead of the 1st, then it could take away the extra stitch created. Have you tried this technique? Hello ! Is there a way I can do an invisible join throughout the whole project without changing color or ending it? When I work in the round I see the seam throughout and it drives me crazy, do you have any suggestions how I can remedy this? Thank you so much!! Hi Christine! This technique won’t work without breaking the yarn, but there are some things you can try to lessen the look of the seam. You can substitute a chainless starting stitch for the first stitch to get rid of the “ch-3” look, or you can work in a spiral so there’s no joining at all, or you can try skipping the first stitch (the one you joined to) and working the last stitch in the sl st instead. Every yarn and project will be a little different in terms of which method works best. Question about the seamless finish! 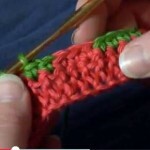 Does that stitch stay in or does it unravel making your work come apart? I have already fastened off with a sl st and a knot the only way I know about but if there is another way to fasten off without your work coming out even over time Iam all for learning how to do it! Please let me know so I could use it if it”s safe to do so! Thank You for your time! I would like to know if your work will come undone if using the seamless finish? I have never used it! All I have used is the SL st knot! Thank you for your time! As long as you weave in your end well, it stays put just fine! 🙂 Thank you Tammie! Wonderful, thank you. I am always trying to figure out how to clean up those rounds, especially when they fall at the top of a purse pattern! You are great, awesome videos. Oh my goodness, this is so very helpful for a beginner such as myself! Thank you so much for this brilliant little video and your amazing and wonderful website! 😀 I’m so glad you found it! Thank you Tam!